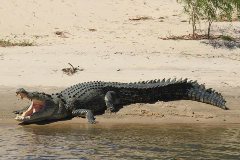 Experience the magnificence of Kakadu National Park, in the beauty of a small group in a comfortable vehicle with regular stops, iced water, snacks and lunch provided. Upon entering the Park we make our way to Ubirr Rock, where your Guide will lead you and interpret for you, as we walk through the Ancient rock art galleries, home to some of the oldest rock art in the world. 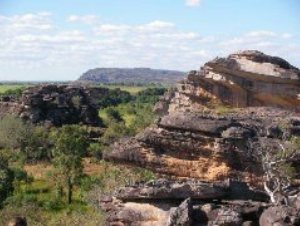 As we move through these galleries we make our way up to the Nadab lookout, which provides us with an amazing view over the top of Ubirr Rock and across the Nadab floodplains, in the direction of Arnhem Land. 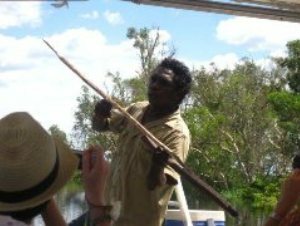 Another fantastic Territory Experience awaits us as we head to the East Alligator River to join the Guluyambi Cultural Cruise, for an interactive, informative, yet tranquil Tour. This is a chance to learn about the area, history and culture, through the eyes of the Traditional Owners. 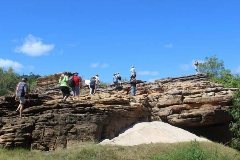 There is a stop during the Cruise, where you will get the chance to step out into Arnhem Land and see for yourself the beautiful expanse of its unique terrain. After this full, yet relaxed day, your Offroad Dreaming Guide will drop you back to your Darwin Accommodation. Due to price changes - your Park Entry Ticket is no longer included in the Price - please purchase online (from the link below) in advance of your Tour - or from a selling agent - payable directly to Parks Australia. We will make a stop on the morning of the Tour, to purchase your Park Entry Tickets, for those who have no access to the internet before the Tour. At certain times of the year, due to weather conditions, we may need to revert to our Wet Season itinerary for the Kakadu Day Tour. 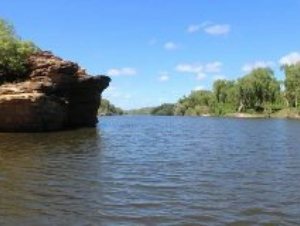 This will include visiting the Rock Art Galleries at Nourlangie Rock, instead of Ubirr and we will take the Yellow Waters Billabong Cruise instead of the Guluyambi Cruise. Wet Season is typically October to March.